Jamieson's Shetland. So this is what love feels like. and in the brightness bind them. . .
Now, I know that I need this! All I can say is...oh my! lust? love? Doe it really matter? Beware, because if you continue down this Tolkein-metaphor road, you must also admit that there is eeeevil in that color card. I should know. I am the golem of stashers. Oh my god, how many colours are there really? Hope this is a soft yarn - perhaps a future favourite? Oh good! I saw your post about this in a Ravelry forum. I'm so glad you found it. Looking at that page on their website, as it goes on and on and on, actually made me short of breath! I don't know that I could live with that color card in the house! I would think the hardest part would be to pick the which yarn was the perfect medium duck egg blue with green heathering. The Force be with you. Oh no, watch out ya'll. Mixed nerd metaphors. That actually made me tingle. I need that color card. Best title ever. And, of course, gorgeous photographs. I would be overcome with indecision, I think. 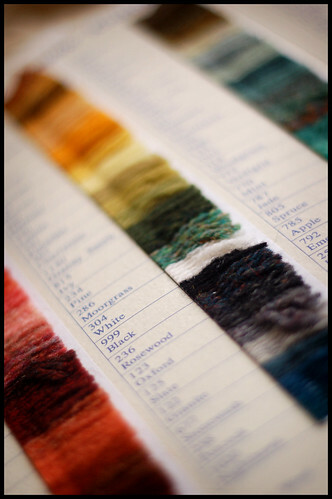 I cannot wait to see what use you put the yarns to! Wow! I'm amazed by how many colours it comes in. I have yarn envy. 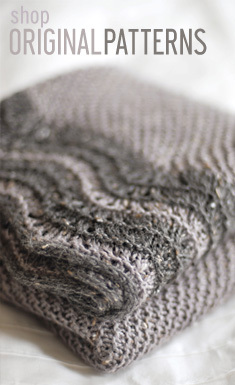 I am knitting with their Aran weight at the moment and it is gorgeous. But you Americans are so lucky as a lot of these colours and weights are not available outside America. I have wept on the phone and sent them begging e-mails, but my shade cards nowhere near rival yours. I am eating my heart out. It is lovely, innit? I'm still carrying mine around in my backpack. 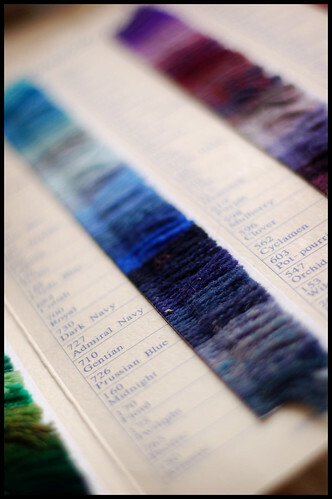 Along with a tartan swatch, some of the natural colors to swatch with, and some charts that need work. Oooooooooooooo. My toes just curled up. Those are some gorgeous colors--their names make them so much more vivid! Hear, hear--true love, indeed! It's not love, sweetie. It's something vastly more primitive than that. I want all those colors. In the Land of Jamiesons where the shetland sheep breed. ...and in the darkness bind you? BUt how will you knit? Nope, just lust. Have fun! Absolutely breathtaking, as always! The only thing better would be touching them too! 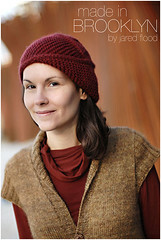 Your site is so refreshing - its nice to see that there is someone out there that has a knitting blog that isnt knitting SOCKS! Is that all anyone ever knits these days??! No offense to you sock knitters out there but it seems that there are alot of blogs with socks and pictures of pets, babies, last nights dinner, graduation pictures .... and as much as I appeciate that everyone has a full personal life that you want to share, Its nice to see a beautiful informative knitting blog thats about KNITTING! Kudos! 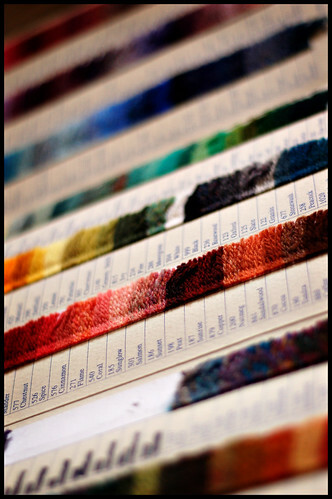 SO the exciting thing is: "What's Brooklyn Tweed going to do with all that love?" You seriously have THE BEST photography of any blog I've seen, just gotta give props where they're due. And oh yeah, maaajor drool over these colors! Please please please tell me how to get those color cards. I couldn't find any info on their site. Thanks so much. Oh, and I second Jude's comment - definitely the best blog photography evah! I'm so jealous... I want that color card!!! Oh my I must have one. Where ever did you find this? oh man... love for sure! A wall full with skeins in these colours, jummie! i cannot help but wonder what you will create out of so much delight. how many colors are there at jamieson...i am sure you will let up know. Oh I need that! I cannot believe how many colors they have. Amazing! I hate to throw water on all the love, but Ferel Knits, who uses a lot of Jamisons, said that many of the colors are being retired. We are still emailing and such to hope to change their minds but who knows.